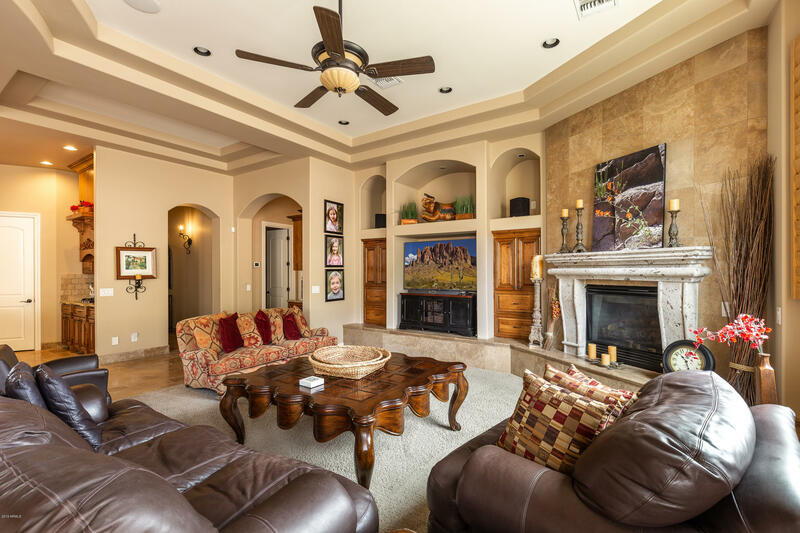 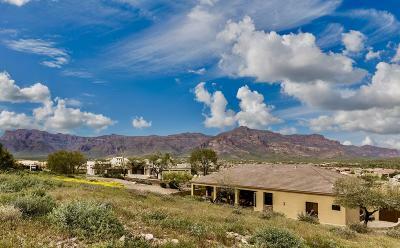 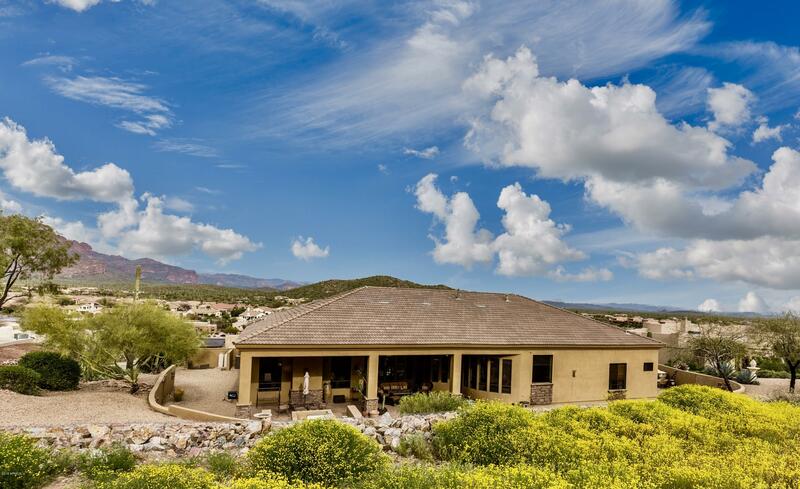 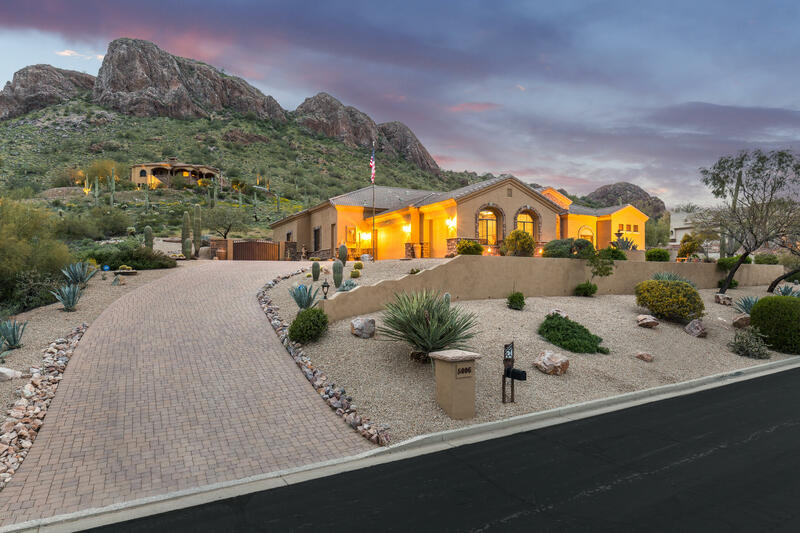 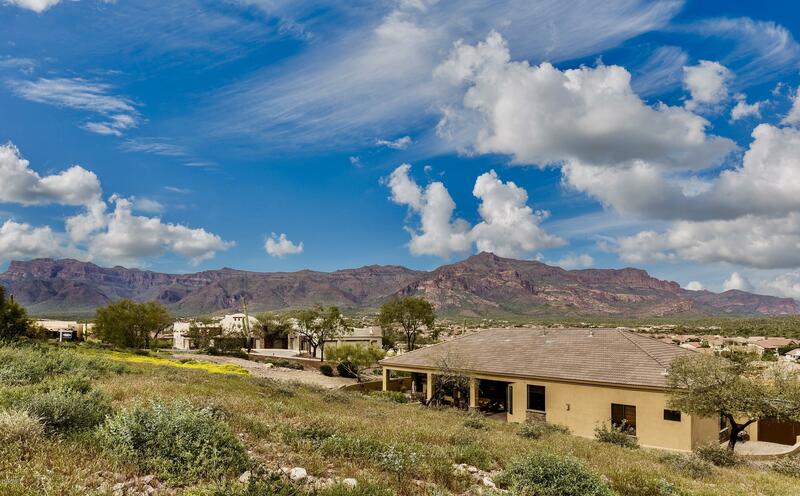 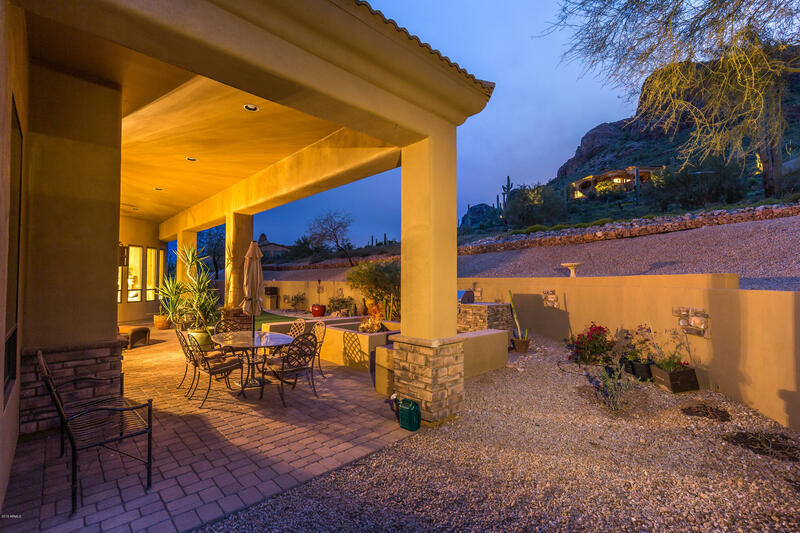 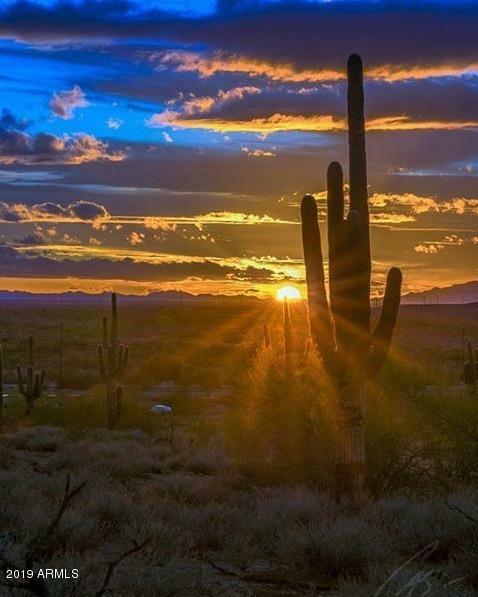 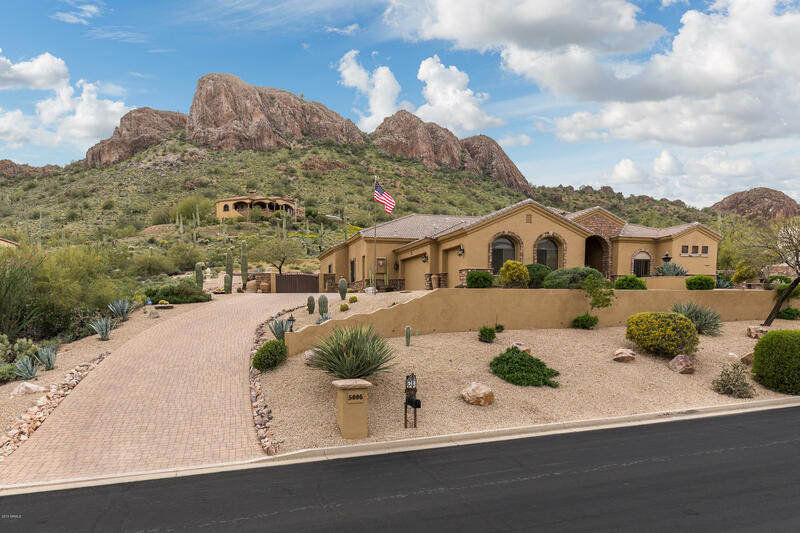 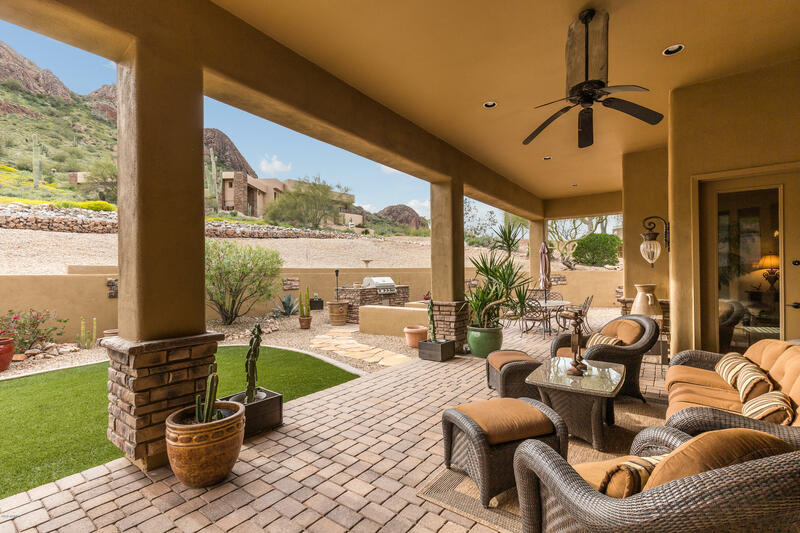 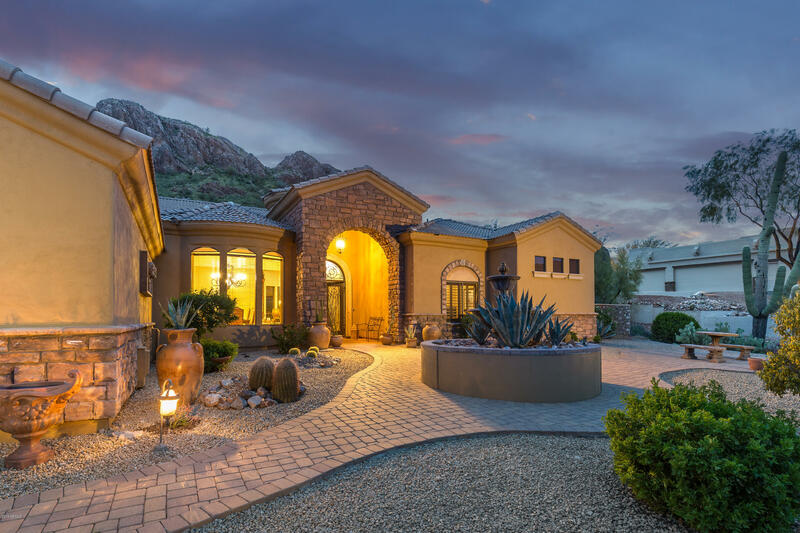 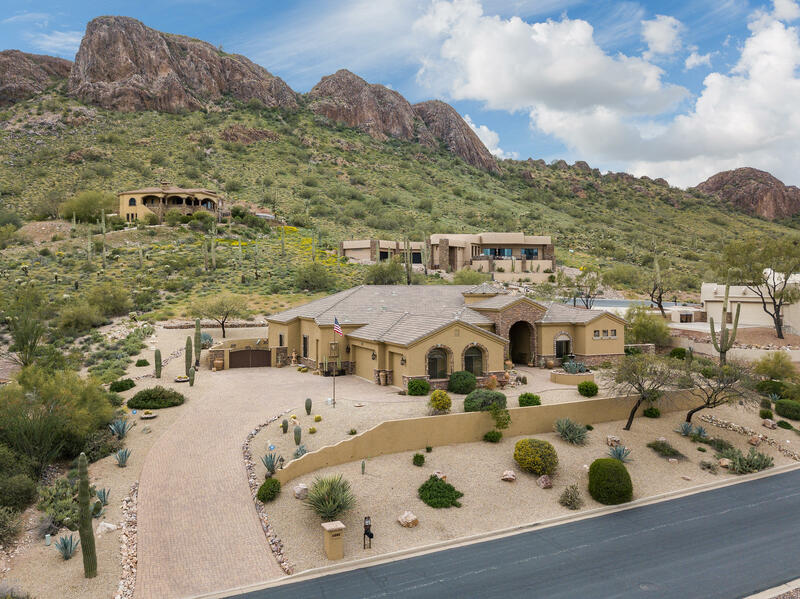 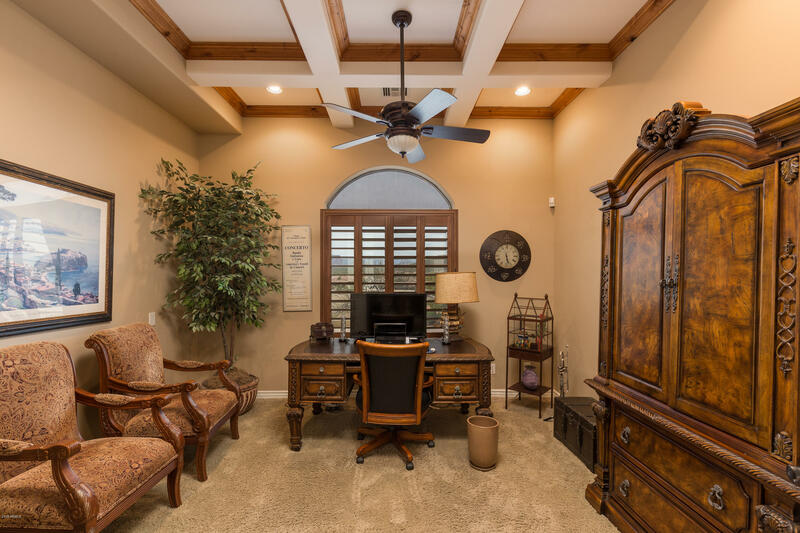 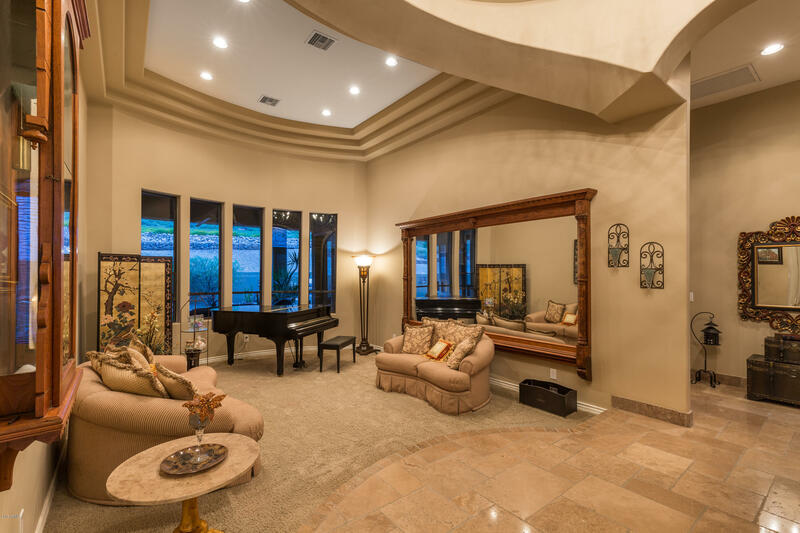 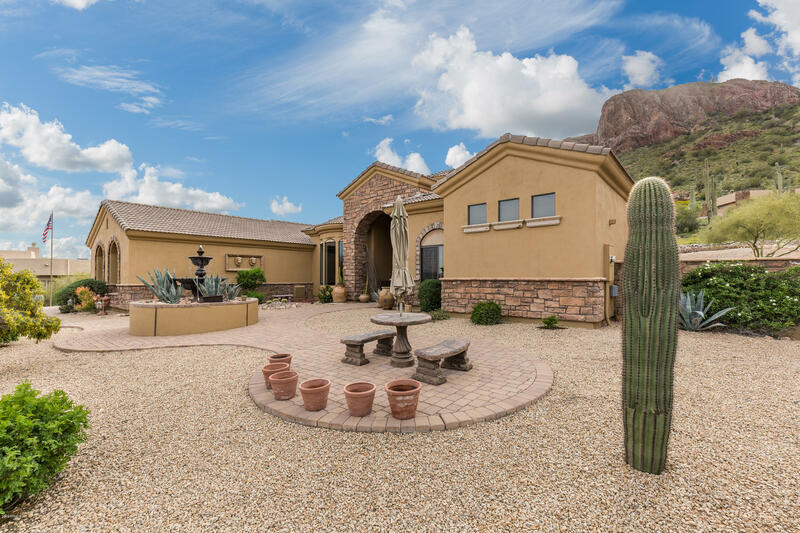 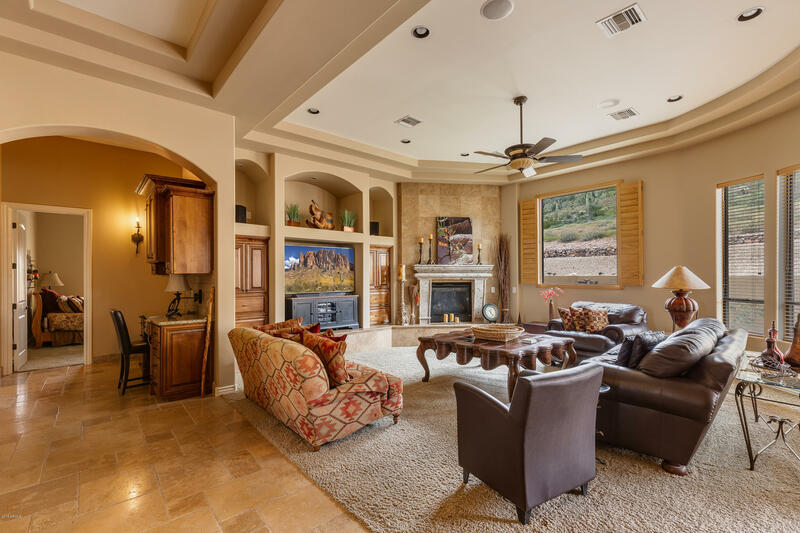 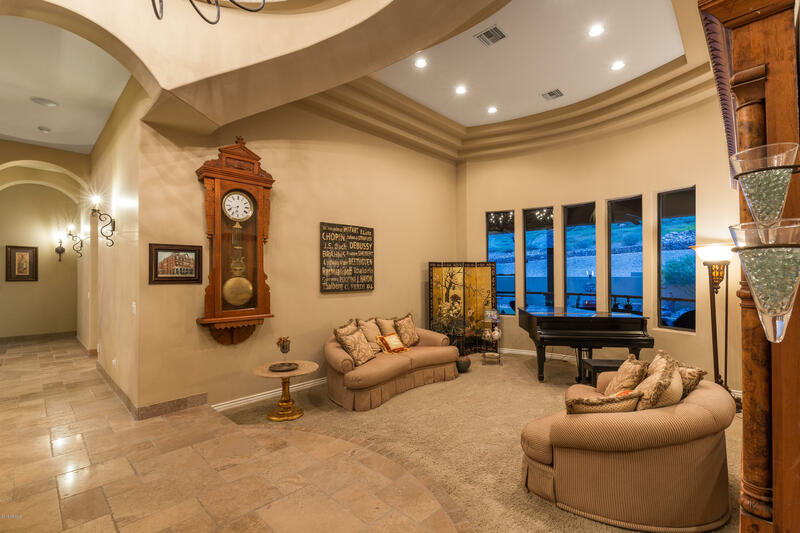 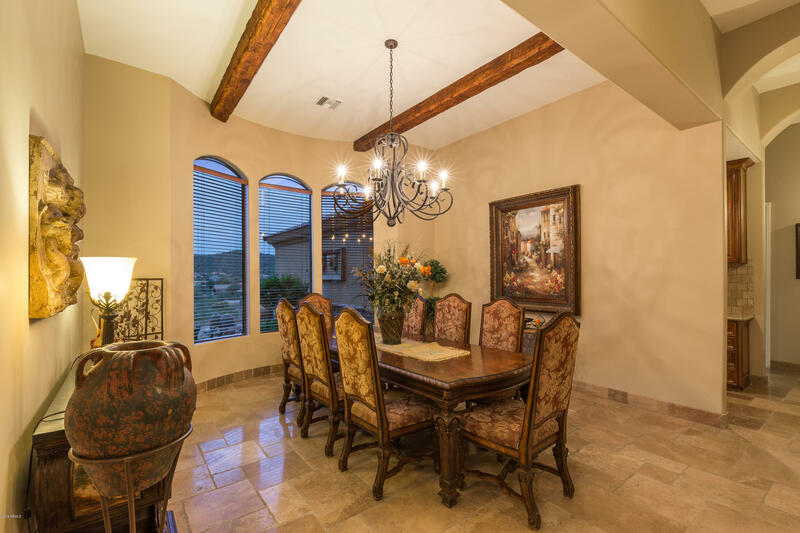 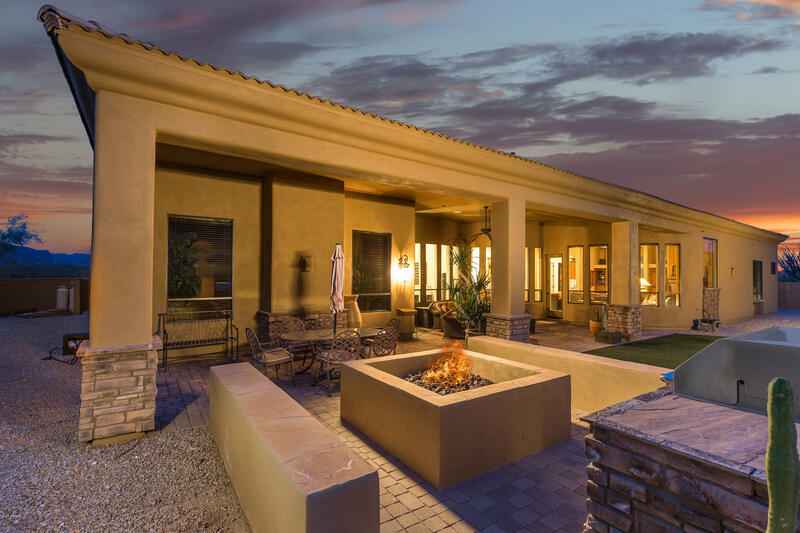 Beautiful custom home with 180 degree unobstructed views of Superstition Mountain at the base of Dinosaur Mountain in Gold Canyon East. 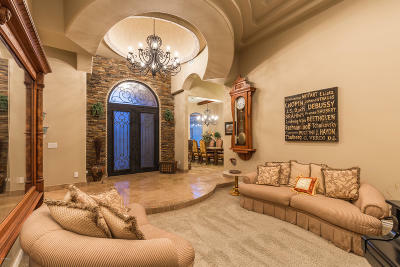 4 Bed/4 Bath (2 full) + den. 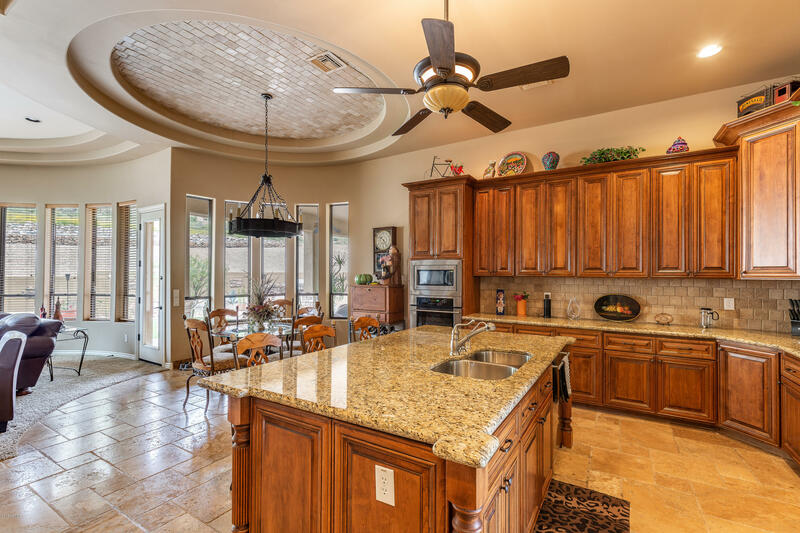 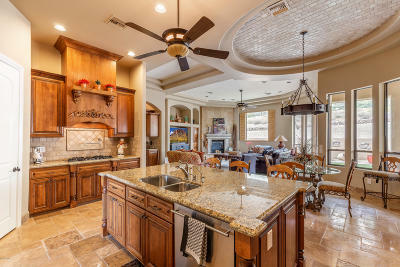 This home has all the amenities - 12' coffered ceilings, 8' solid core doors with Emtek hardware, granite countertops, stainless GE Monogram refrigerator, microwave, wall oven & dishwasher. 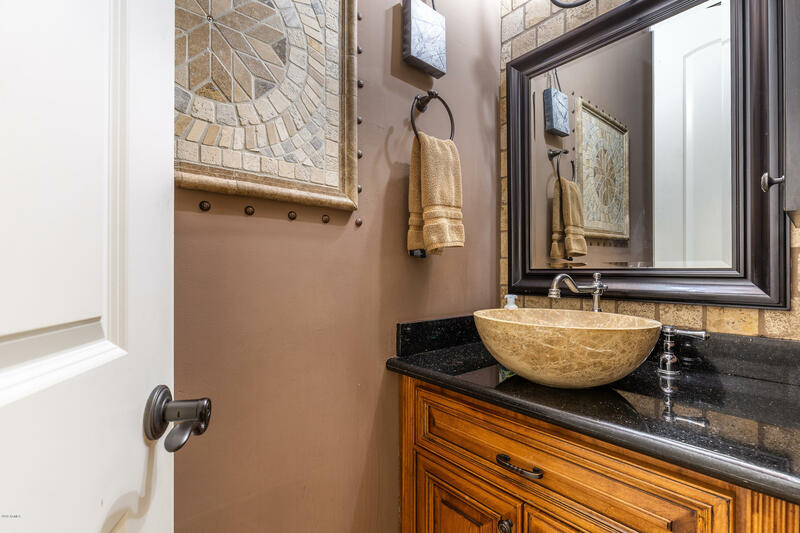 Viking 5-burner stovetop w/ pot filler faucet. 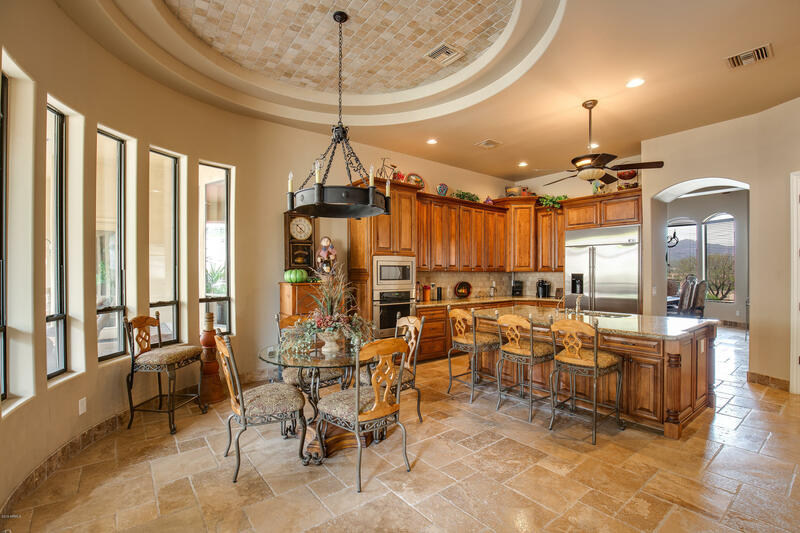 Custom cabinets, chiseled travertine flooring (versaille pattern), all natural stone throughout, breakfast bar. Fireplaces (2), formal dining, plantation shutters, custom lights, central vacuum, surround sound. 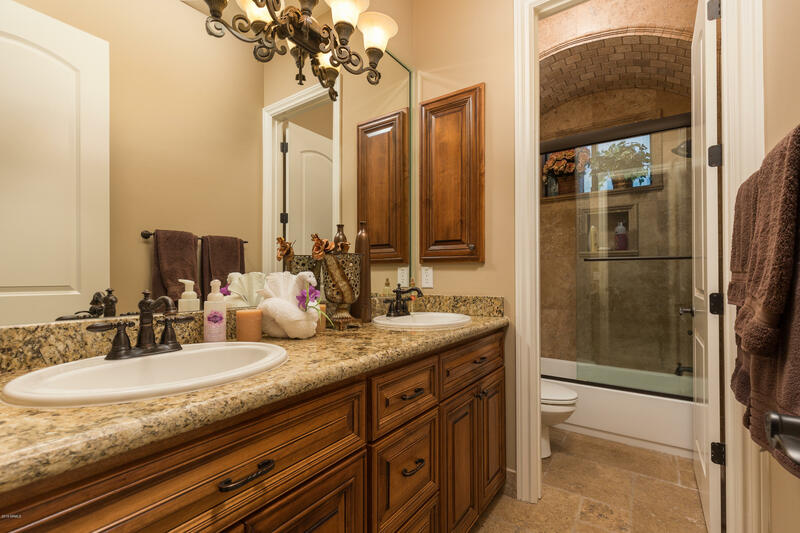 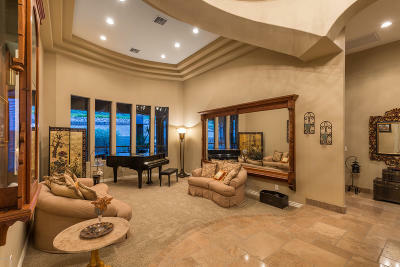 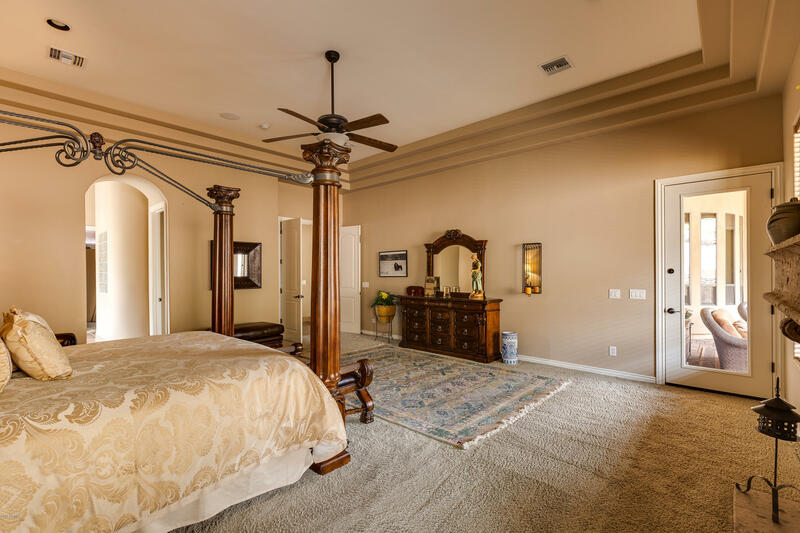 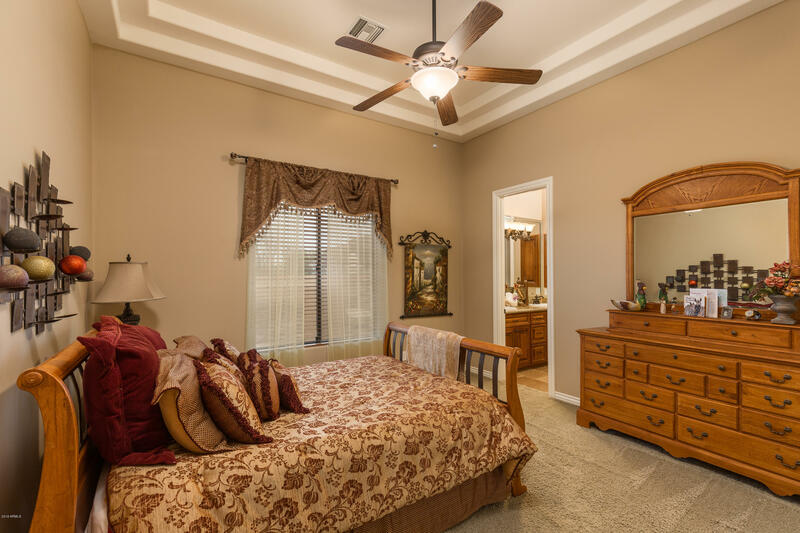 Master bedroom w/ (2) sinks, jetted whirlpool, (2) shower heads, walk-in closet, Cantera stone fireplace. 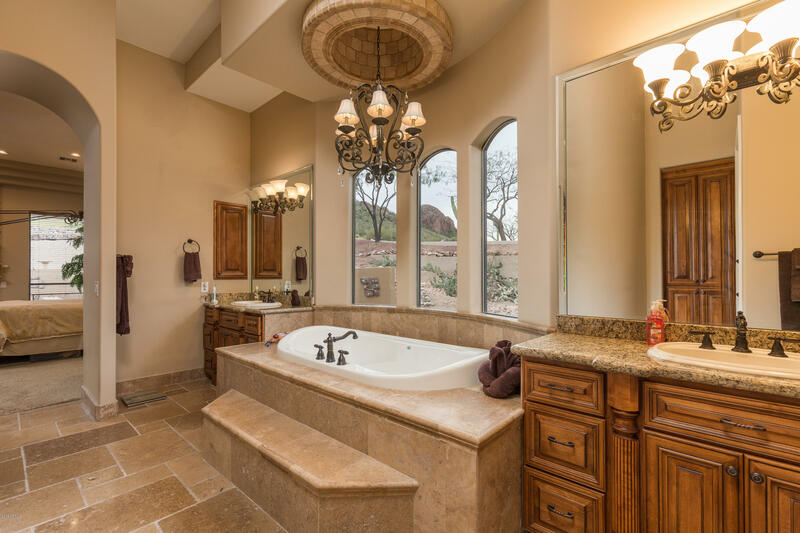 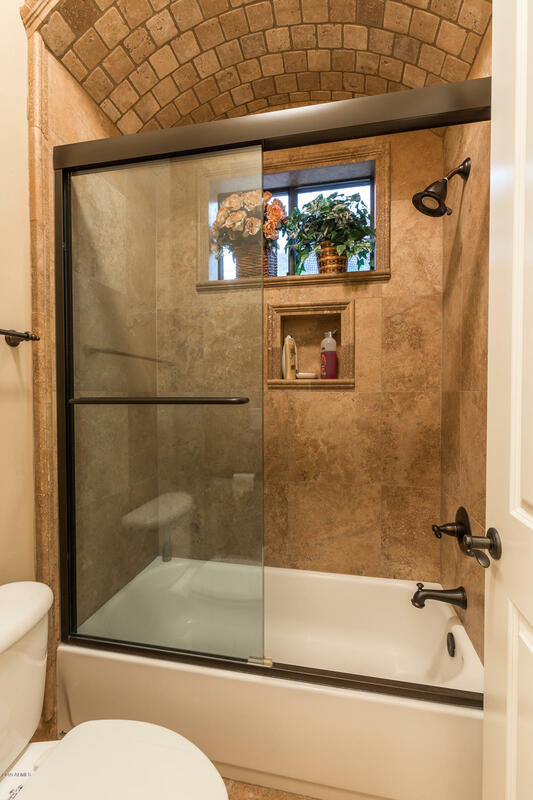 Cantera stone accents throughout. 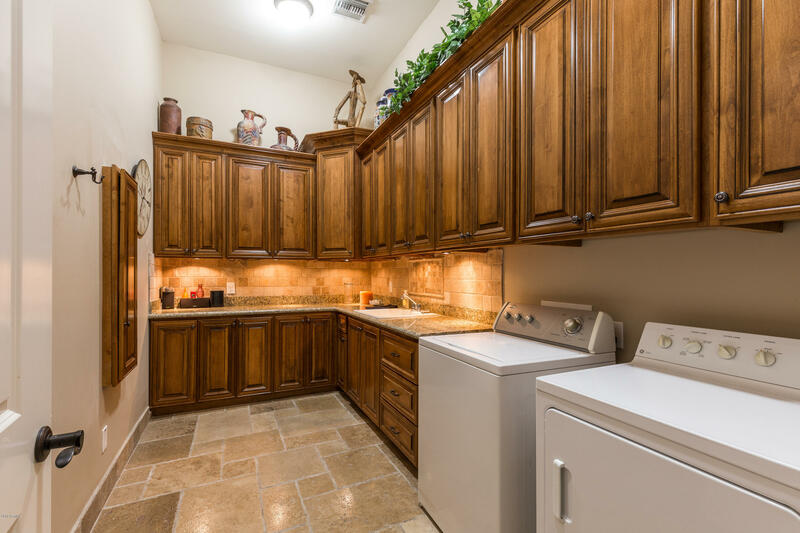 Large laundry room, 3 car garage with built-in cabinets. 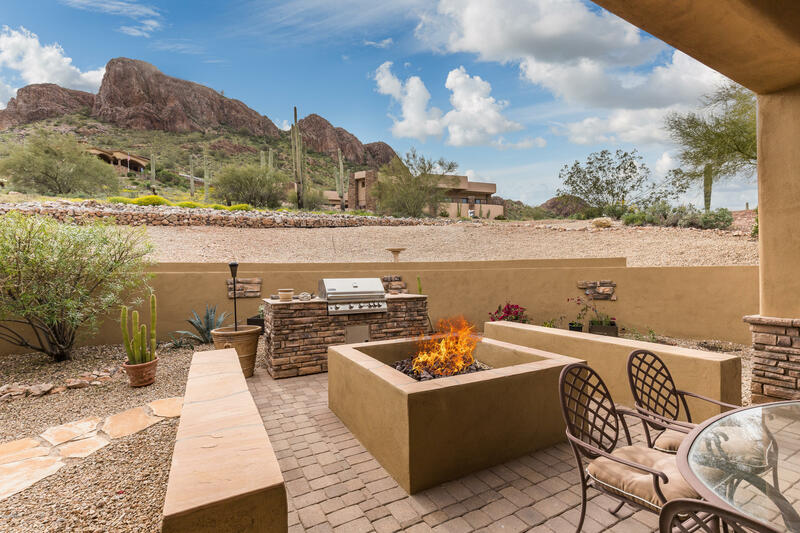 BBQ & fire pit. 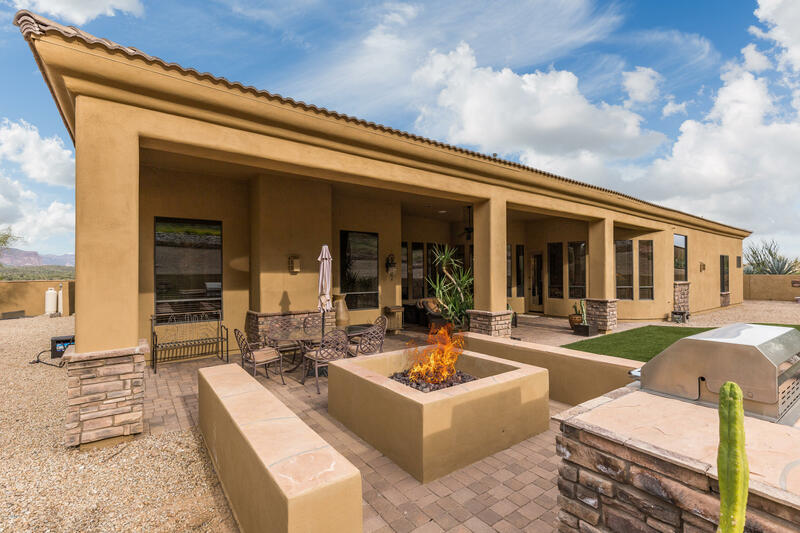 All tile roof. Turnkey furnished except personal items.